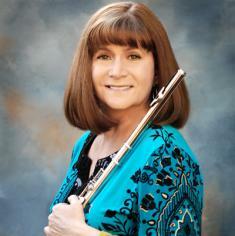 Los Angeles, CA: Recognized at the 2016 Global Music Awards for 'Outstanding Achievement' in arrangement, composition and improvisation, virtuoso flutist Lori Bell has been invited to partake in the 23rd Annual Jazz In The Pines Festival in Idyllwild, California. Nestled among the tall pines of the San Jacinto Mountains in Riverside, CA, the 2-day fest runs August 20-21, with an additional night of VIP Patron activities on Friday August 19. Set to take the Main Stage on Sunday August 21 from 2:30-4:00pm, the Lori Bell Quartet will showcase selections from her critically acclaimed 9th album, Brooklyn Dreaming, which DownBeat Magazine lauded with 4-stars, proclaiming Bell "an improvisational shapeshifter." A flutist and composer of admirable depth and broad musical sympathies, Lori Bell is a Brooklyn native who has contributed to the development of higher standards of performance while earning acclaim from both peers and critics for her artistry on stage and in recordings. With a father that was a big band lead trumpet player for 30 years and a mother that played accordion with a great ear for both jazz and classical music, Bell was exposed to the transformative nature of improvisation by pillars of the golden era of jazz at places throughout Greenwich Village and lower Manhattan in New York City. Now in the third decade of her acclaimed career, Bell is revered for her innovative interpretations of Miles Davis, Charlie Parker, Thelonious Monk, Charles Mingus and Duke Ellington, among others, mesmerizing audiences with her sophisticated rhythmic sensibility and refined sense of dynamics at esteemed venues such as the Kennedy Center in DC, Blue Note (NYC), Smoke (NYC), LACMA (LA), Wadsworth Theatre (LA), Dizzy's (San Diego) and the SOKA Performing Arts Center in Orange County, California.